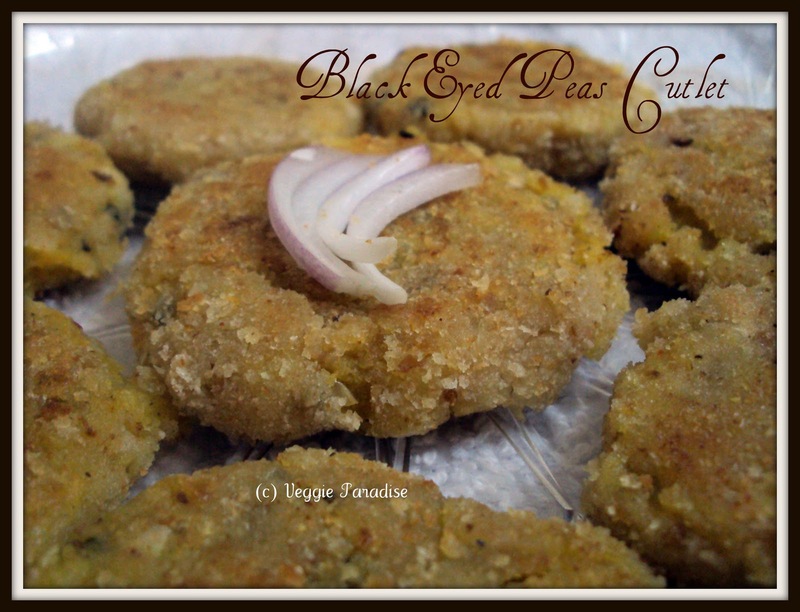 Healthy and protein rich delicious snack with black eyed peas and potatoes. Soak the peas overnight or for 6 hrs. Pressure cook the black eyed peas for 3 whistles. In a bowl, smash the black eyed peas with potatoes , chilli powder, cumin powder,garam masala powder and salt. Now mix , all purpose flour and corn flour to a thin paste. Take a ball shaped portion from the mixture, dip them in this batter, dust them in bread crumbs and make the patties in any form you wish. Drop these patties in hot oil.Shallow fry or deep fry them according to your preference. Fry these balls until golden brown and drain them in kitchen towel, to remove the excess oil. Protein packed cutlets, good one. Healthy and tasty one.. looks very tempting dear !! Interesting cutlet recipe..healthy and yummy. Wow! That's quite different, so crispy and yummy. Crispy cutlets looks awesome and healthy..
A new kind of cutlet, very healthy version...love it. Very healthy snacks,Kids love this...Thanks for sharing. 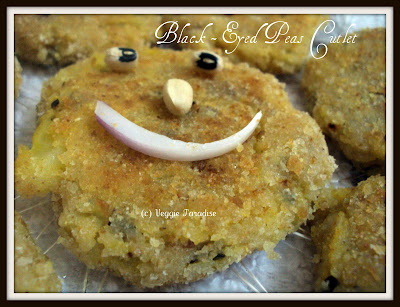 Protein rich and delicious cutlet.. Good one dear.